Phuket is among the World’s finest beach destination. The white sand beaches, palm trees, and lively town attract so many tourists to this beach destination every year. It offers something for every taste and every budget. With more than 30 beaches available around the island, it’s not surprising that the beach clubs in Phuket is gaining its popularity every year. 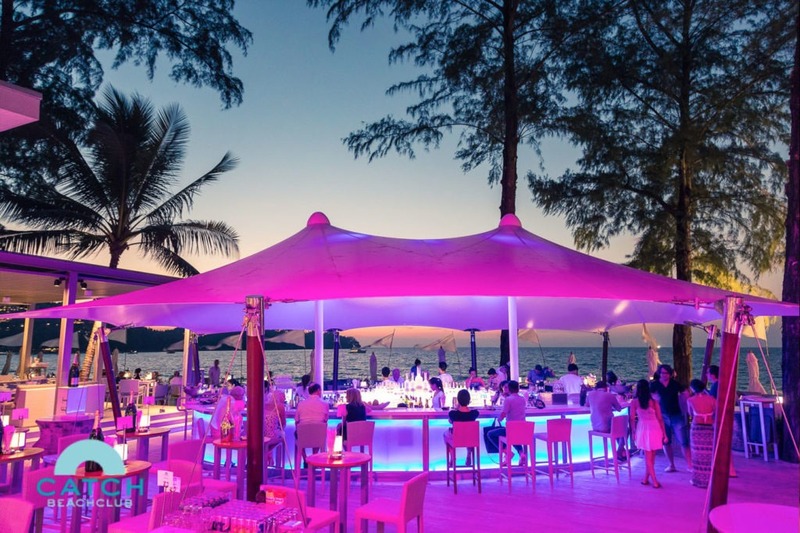 Phuket offers so many choices for visitors, from grand seaside pool venues to places which, while modest in size, pack a punch where it counts, but though they differ in size and price all have a common thread that is all beach clubs in Phuket offers same fun and sophistication. The connotation of beach club in Phuket is setting up a stylish modern restaurant/bar made from natural elements as near to the sea and sand as possible, organizing the occasional party with internationally recognized DJs/artists, availability of varieties of wine and of course the tempting eatables. The beautiful view of sunset ensures that each visitor has well spent the evening at beach clubs in Phuket. So this vacation enjoys the beach clubs in Phuket, the listed clubs are the coolest beach clubs and the best options too. 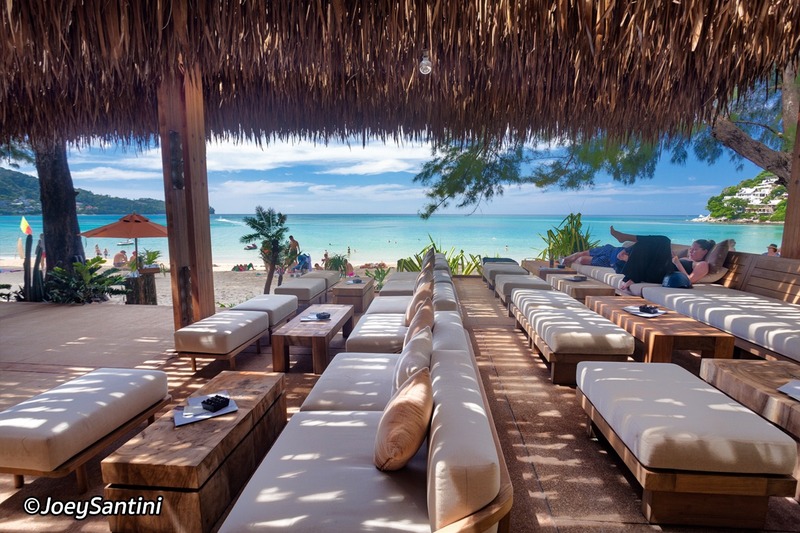 This beach club is located is on Bang Tao Beach. The best element of this beach club is the party atmosphere and the appearances of international DJ’s. The mouth-watering delicacies and ever flowing Champagne and Rose wine are just go factor for the tourist. 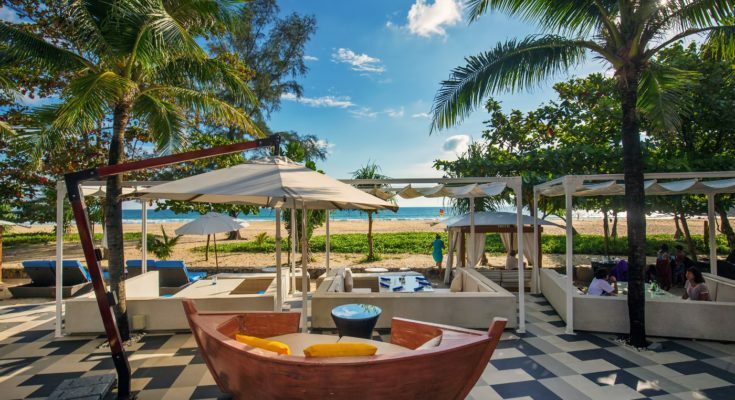 This beach club is the most inventive and stylish beach club in Phuket. This high-quality bar with great music will give tourists the most incredible experience. This beach club is blessed with the beachfront location. This beach club offers indoor and outdoor dining facilities for tourists. The food menu at Catch Beach Club offers a range of ala carte dishes from 11:00 to 16:30, with a snack menu available at other times. The signature food of this beach club is Catch Beach Salad (containing crab meat, asparagus, avocado, fish roe and French dressing – 350-450 baht) and the rotisserie chicken marinated in a Thai-style sauce (490 baht). This beach club too offers a beach barbecue buffet on every Tuesday and Friday. This beach club also offers a broad range of top-shelf spirits, liquors, beers, and champagnes. The major attraction of this beach club is the availability of sun loungers and salas on the sand. This beach club is located on Kamala Beach. 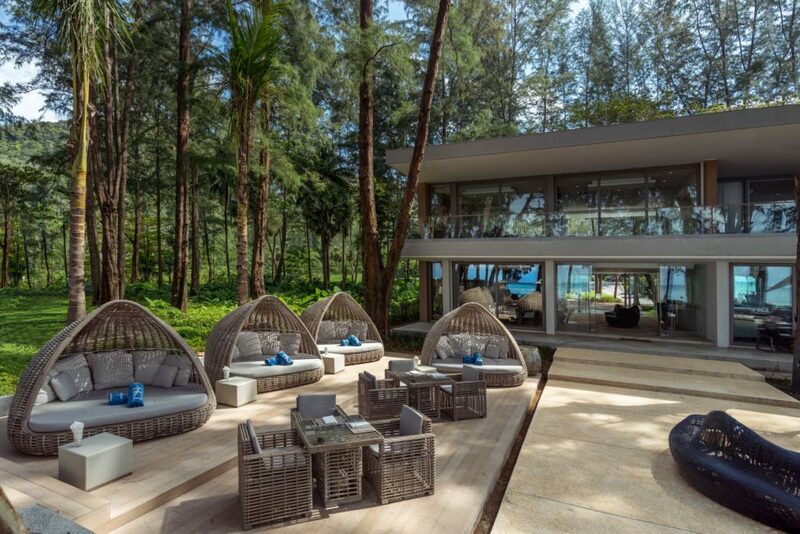 This beach club offers tourists relaxation in comfy cabanas under the shade of casuarina trees. 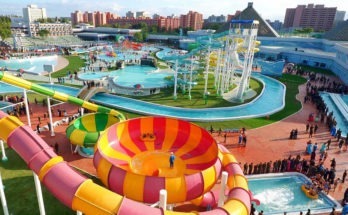 The tourists can enjoy splendid seaside experiences. The prime attraction of this beach club is Cocktails and electric soul music at beach lounge. 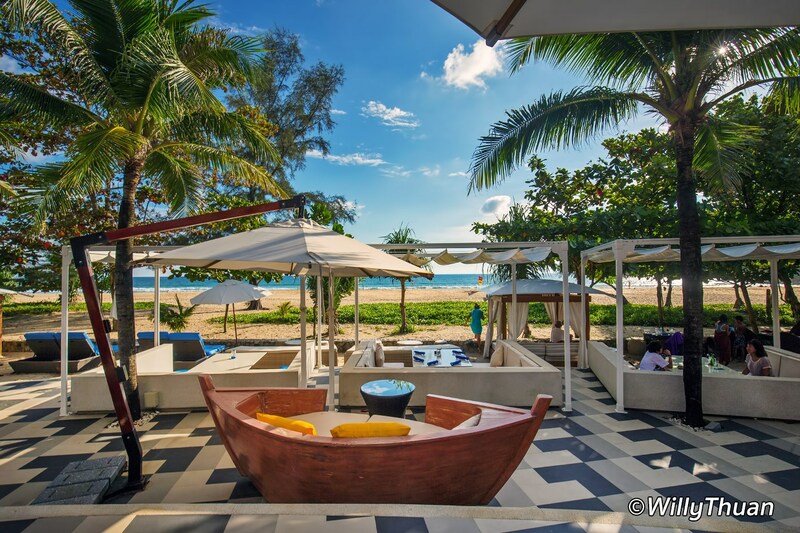 HQ beach lounge is the most stylish and contemporary beach lounge in Phuket. The mouth-watering delicacies at this beach club are their fresh and succulent salads, flavor-full seafood, magnificent pasta, light grills and many more. The choices of drinks available are also very impressive. Tourists can relax on cabanas, sofas, seats, stools or the mats by the beach in the upmarket atmosphere, with music. The DJ’S starts at 18:00 PM. 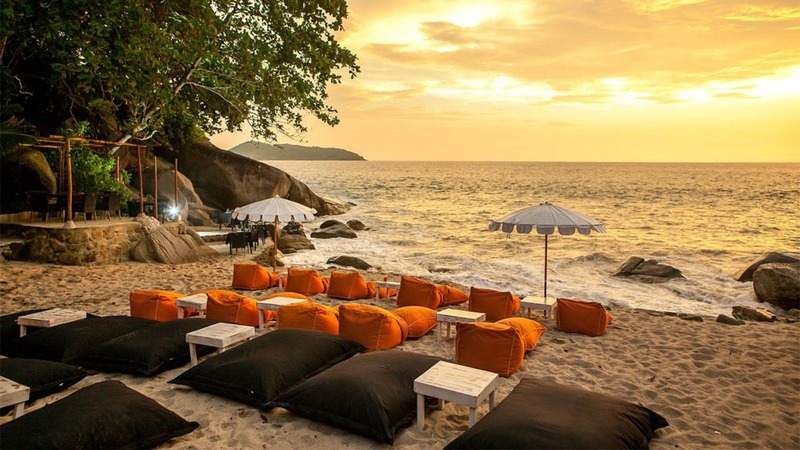 This iconic beach club is located at Kamala Beach in Phuket. The carefully designed oasis gives the tourists, a chilling out unparallel experience. This beach club energy physically and stimulate the five senses and nourishes the soul. This is a classy beach club from the world-famous brand originating out of Ibiza. This club offers tourists a sophisticated party atmosphere with an unbeatable soundtrack. The seating options at this beach club can be booked prior. Being situated right on Kamala Beach, Café del Mar Phuket is a great place to enjoy a few sundowner cocktails from the selection of classic and signature sips. This beach club offers International and authentic Thai cuisine. This beach club is a little bit expensive than other beach clubs in Phuket so it attracts music lovers and sophisticated guests. This is the perfect club for a beach party with the best music and best drinks too. This beach club is a combination of poolside cool atmosphere and beachside chic environment which aims at giving a unique lifestyle experience to every tourist. 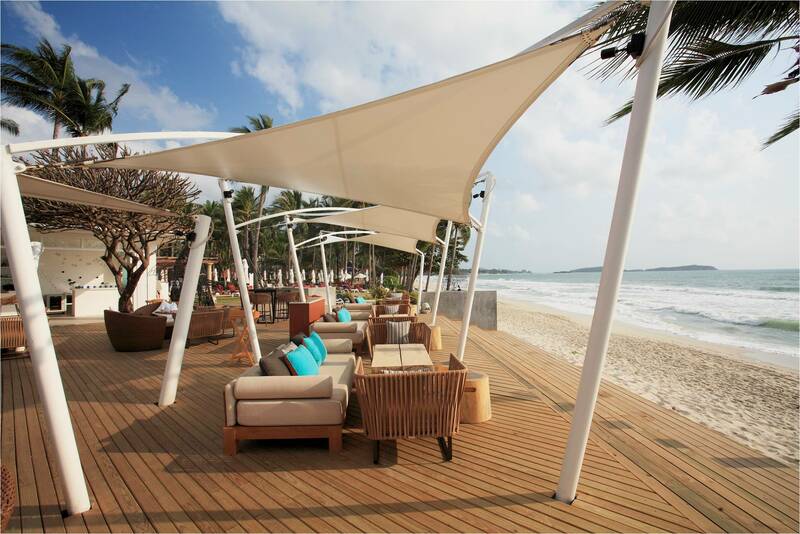 This beach club is located at Layan Beach. 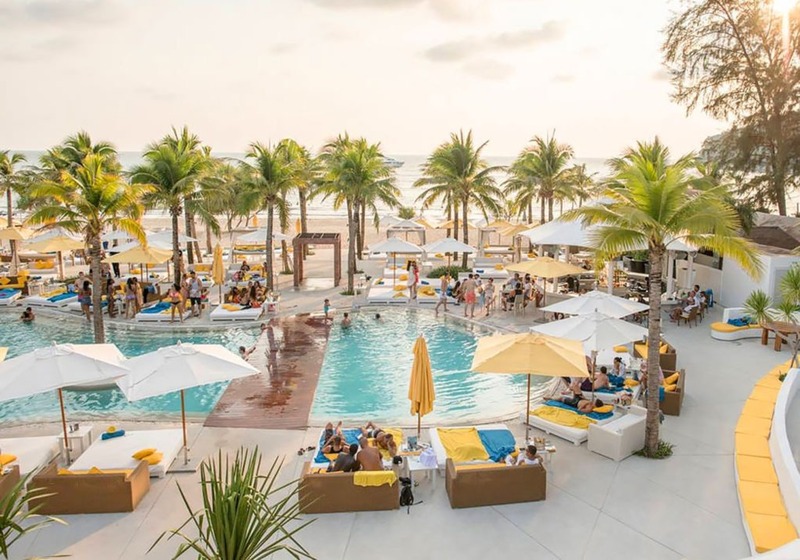 Dream Beach Club is one of the largest clubs of its kind in the whole of Thailand, featuring two swimming pools, four bars and over 100 comfortable sun loungers. The price of the beach club is not fixed in nature, it keeps on changing according to the season. The must-try options at Dream Beach Club include Dream Beach Burger and the Life Is But A Dream cocktail, which cost 30,000 baht and 15,000 baht respectively. Less extravagant drinks choices are also available at Dream Beach Club. This beach club is located just 20 minutes north of Phuket International Airport, managed and developed by internationally acclaimed luxury pool villa hotel & residential estate Sri Panwa. The Baba Beach Club offers a beachfront view of Natai Beach. It is famous for its highest quality resort living style, maximum privacy, and excellent services. This is the latest branded luxury club. This is a perfect blend of World-class hotel and hospitality. With a collection of larger luxury pool villas, beachfront pool suites, and exclusive residences, Baba Beach Club is both decadent, hip, and unpretentious creating a true vacation escape right on the beach. 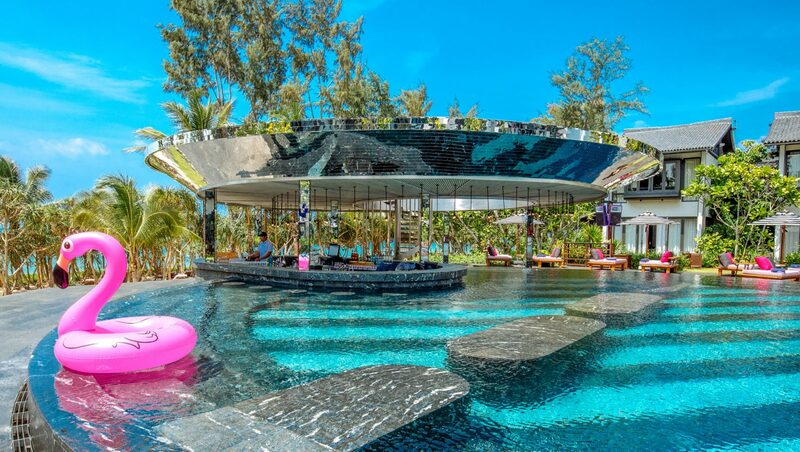 This is the most stylish beach club in Phuket. It offers the best of contemporary Thai hospitality. It is located at Mai Khao beach. This newly opened beach club in Phuket is attracting a stylish crowd to drink, dine, and dance against uninterrupted ocean views of the island’s northern coast. The tourists can enjoy freshly crafted cocktail and sumptuous dishes in one of the club’s cozy and inviting lounge areas. The mouthwatering delicacies offered by M Beach Club includes Zesty Pomegranate and Burrata Salad, Crispy Golden Calamari and Pork Satay with Phuket Pineapple and Peanut Sauce. The unbeatable music of the Dj’s will give you an unforgettable experience at M Beach Club. 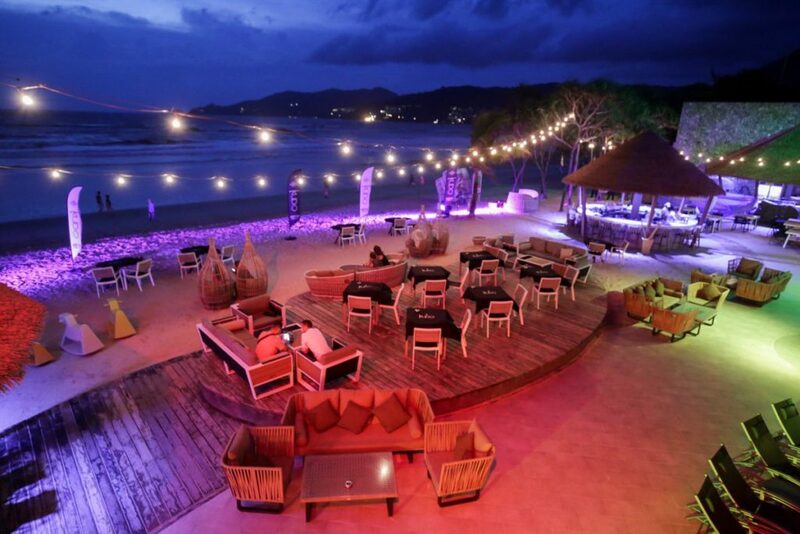 This is another option of coolest beach clubs in Phuket. This is one of the most trendy and entertaining beach clubs in Phuket. The new club is located in the heart of Patong. Kudo beach club is famous for its luxurious and relaxing atmosphere. The club serves a range of drinks like delicious mojitos, which can be enjoyed as you gaze out over the glittering Andaman Sea as well as signature cocktails too. Kudo Beach Club aims at creating a unique lifestyle experience for those looking for that ideal daytime destination to relax. Kudo Beach Club has its own swimming pool. The location is also known for its beach party atmosphere and there are resident DJs who play here throughout the day. This coolest beach club in Phuket is located in a pristine location just 8 minutes away from world-renowned Patong Beach. Paradise beach club is open all year round and the only and the safest beach to swim. It is protected and surrounded by the bay. This beach club is large and well developed. The entrance fee for Paradise Beach Club Phuket comes and goes, but was last reported as being 200 baht. Paradise Beach Phuket is practically unique among the beach clubs on the island in the way that it celebrates the phases of the moon. It recreates the famous Full-Moon parties of Koh Phangan, along with half-moon and “black-moon” parties. This special party night includes great drinks, fire shows, and beach barbecue too. This beach club is located on Karon Beach. This beach club offers fresh food, chilled drinks which will give you an unparallel experience of beach club in Phuket. The must-try food at Coast Beach Club will include Sizzling grilled meats and local seafood, sliders, sandwiches, Neapolitan pizzas, and salads are always available and freshly prepared by their chefs. This beach club specializes in fine cuisine. The club hosts special events and pool parties and appearances of international Dj’s will give you a different level of auditory sensation. This is a small hidden beach bar located between Kalim and Kamala Beaches. 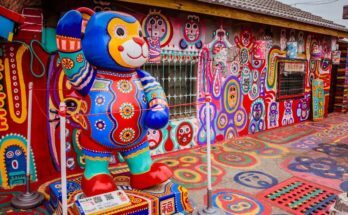 The bar/restaurant is named after an iguana-shaped rock that the three owners of the place spotted while sunbathing there one day. The club can offer to park to only four cars at a time. Iguana Beach Bar is an upscale day and sunset bar situated on its own private beach with beautiful rock formations and bamboo decor to bring a back-to-nature atmosphere. This beach club has all the perfect element of a tropical holiday. Memorable sunset of the glistening Andaman sea and the warm magenta sky will give you an unforgettable experience of beach club in Phuket. For foodies, the Iguana beach club is more a joint to enjoy snacks and drinks. The beverage list features two Iguana signature drinks: ‘honey hip” and “honey dip”. The Iguana beach club is a cool, intimate venue to enjoy the tranquility. So this vacation tries any of these coolest beach clubs at Phuket and enjoys every aspect of each beach club. Each one has its own distinctive feature which will give you a memorable experience of the beach holidays.